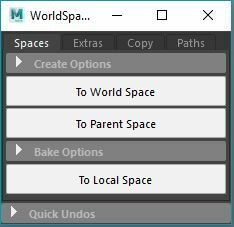 A versatile motion trail toolset, check your arcs in worldSpace, screenSpace or any other parent space. Now with Gravity Trails! Lightweight, fast motion trail system. Updates on the fly. 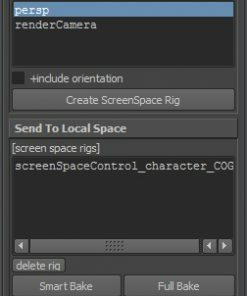 Create screen space motion trails. 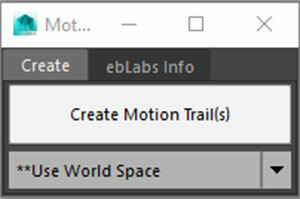 Create motion trails using any object as a parent space. 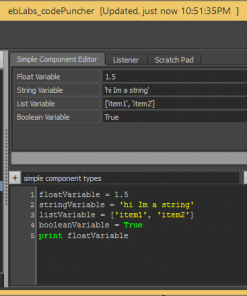 Customize colors, displays visual feedback for keyframes. World space and screen space motion trails compared. The blue and white motion trail is a regular motion trail, it displays the arcs in world space. The yellow and white motion trail, is in the parent space of the camera and displays the arcs relative to the camera view. Both of these can be usefull in different situations. 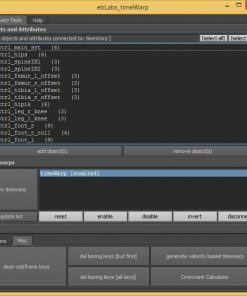 Extract the zip file to your maya/scripts folder. Add the following command and icon to a python shelf button (or hotkey). Specify Start and End frames by highlighting a range on the timeline. Create Motion Trail(s) Select one or more objects, click here to generate motion trails. The down arrow will expand this section. Select a camera or any other object from this list and the motion trail will be made using this as a parent. Cameras are automatically listed, but if youd like to use another object as a motion trail parent you can use this button. 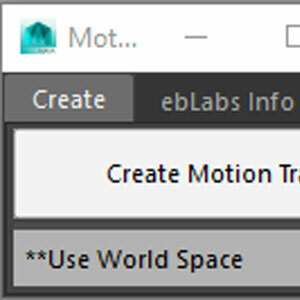 Select an object, click this button and it will be displayed in the list (this is handy if you are making several motion trails at the same time). Info A shortcut to the info tab, check here for basic info on usage and credits. Motion Trail Updating If you’re using autokey, the motion trail will update after you make a change. With autokey off, you’ll need to deselect then reselect your object. Visibility Hide the motion trail. Motion Trail Color The motion trail colour should default to whatever object its assigned to. You can set the color manually here. Update Clicking on this dropdown menu will force the motion trail to update manually. 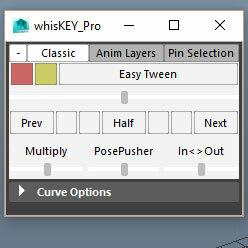 Use this to toggle the display of the frame markers. 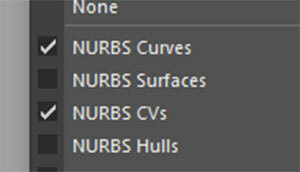 *Note, be sure to have Nurbs CV’s on to see the markers. The motion trail can switch to be a gravity trail at any point. Just animate the mode to set how the motion trail behaves. 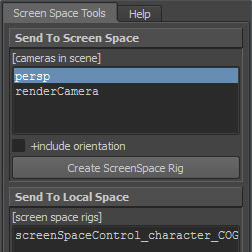 Maya Units: Set this to however you are using maya units. Decimeters is quite common in VFX animation. 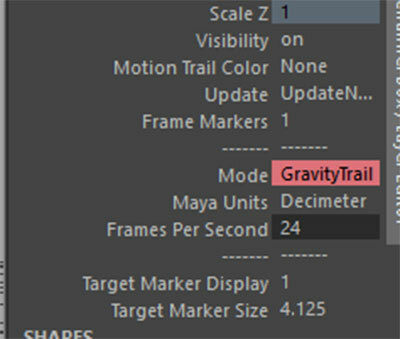 Frames Per Second: Since gravity is a time based phenomenon make sure to set your frame rate here for accurate results. *Note, at this point air resistance isn’t calculated in the gravity trail simulation. Please give me a shout if this is something you feel would be useful. The target marker is a way to adjust at what point a motion trail is generated. 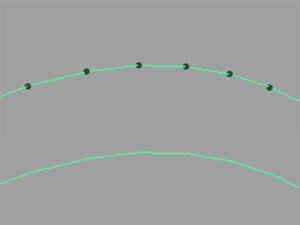 Normally motion trails are created at an object’s pivot point, for a character’s head, this might be at the base of the neck. 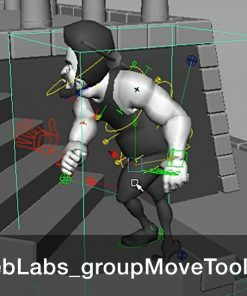 Although with the target marker, you can easily move the tracking point to say, a character’s nose or chin or eyes. The sky is the limit! Here is an example of the target marker on a projectile moved to the side so we can see its rotations. Target Marker Size Use this to adjust the size of the target marker. Closeness to Camera This option will appear for motion trails that are relative to a camera. You can slide the motion trail in closer to the camera if you need to make the motion trail easier to see. Thanks for the feedback, Id be happy to help figure out any issues you are having. Would you mind describing the problem and I can take a look?